The sign of a professional: Can you make lightning strike twice? 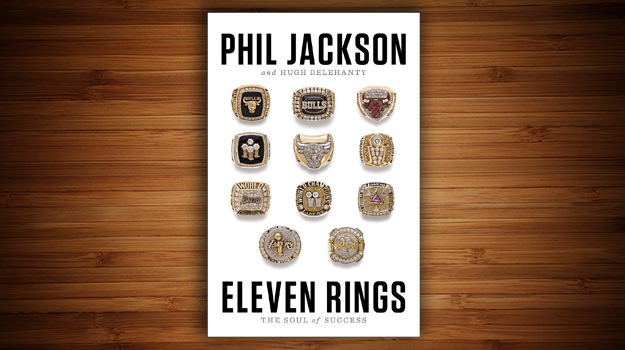 I’m reading through Phil Jackson’s Eleven Rings: The Soul of Success for the basketball stories and leadership gems. While we get the back story on some of the greatest teams in the history of the house Naismith built, it’s Jackson’s level of consistency that jumps out at me as a professional and young leader. In our professional lives, it is the commitment to one’s values that will define the type of professionals we become (talent is a part of this equation as well). For managers old and new, are you afraid of letting your talent grow for fear of losing them? And how good is a manager that can only “win” with one unit. Though Jackson won six titles with Michael Jordan and Scottie Pippen as the league’s ultimate Batman and Robin combination, he proved he was more than a one-trick pony. Returning to the Lakers, he won an additional five championships — first with the 1-2 punch of Kobe Bryant and Shaquille O’Neal and again with Bryant and a younger cast of characters. The mark of a good leader is being able to win with the pieces on the floor and win consistently. Can you make lightning strike twice? Or 11 times, Jackson did? Or are you holding your talent back to keep from having flaws exposed?